The retail trolley is a simple change in paradigm that can lead to a massive mind-set overhaul, and the modern world is a good example of that. Before the trolley, people would have to carry around baskets in which to hold their shopping and if the shopping was more than what the basket would hold, then they would need multiple baskets or multiple trips to the supermarket. The trolley changed the mind-set that multiple baskets would be needed to complete a week's or months’ worth of shopping. Different sizes of trolleys allow for a lot of diversity in the amount and type of items that a shopper can carry along with them. 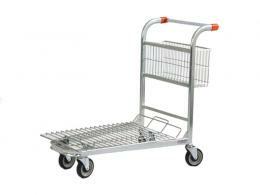 Modern retail trolleys have advanced quite a lot from the first days, with swivelling wheels and narrow bodies that allow two of them to pass side by side unimpeded in a grocery or retail outlet aisle. 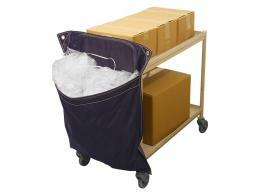 Retail trolleys are a good addition for companies that deal with large items that require a big enough flat surface to lay them on. Shopping trolleys are the most common item in this set and most people have used one of them before on a trip to the grocery. Shopping trolleys come in multiple sizes, and having many different sizes allows users to choose which one fits their buying habits best. 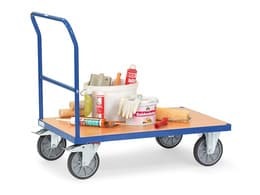 Roll containers and carts can be used for retail locations but can also be used as a transportation method to carry crates and boxes over short distances. They lend themselves to stacking multiple boxes while still maintaining their stability. 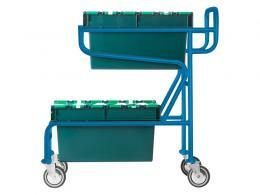 Garden centre or cash and carry trolleys are close to the ground for added stability and have low profile sides since all that is required of this particular trolley system is to stop items from falling off the stable bed. 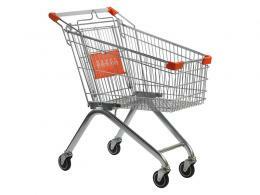 Many shoppers notice the state and size of the retail trolleys they pick up at their nearest store. A well-maintained trolley is a definite plus for a buyers coming to a store fort the first time and this is likely to impact their decision as to whether they would shop here again. 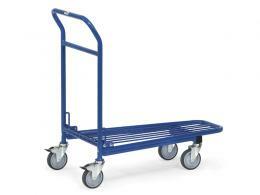 The Workplace Depot is pleased to offer trolleys constructed to stand up to everyday wear and tear to our clients. Simply give us a call at (0800 0126777) to find out more or consult our online inventory to take a look at our products.